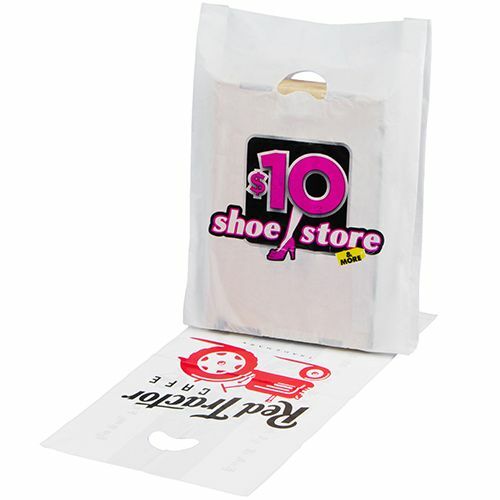 Boast your brand name and image with these reusable custom high density merchandise bags that will safely carry the load of your essentials from one place to another. These bags are eco friendly. Now showing the options for ".75 Mil" and "1 Color 1 Side - Flexograph Print"
14 X 3 X 21"
20 X 4 X 30"
24 X 6 X 36"
Do you require stylish yet strong merchandise bags that will store just about anything without undergoing tears? 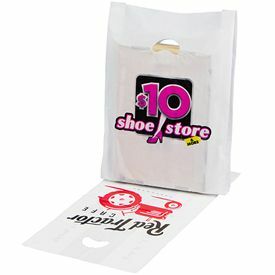 Our Custom High Density Merchandise Bags are versatile and have multiple applications. Available in a multitude of colors, including ivory, pearl gray and clear, the bags can be customized according to your special needs. Whether you want reverse copy printing, or gold or silver inking, you can get exactly what you want.The bags are made with economy and strength in mind. While light, they remain functional for up to 10 pounds of weight. We believe in providing the highest quality products to its customers. 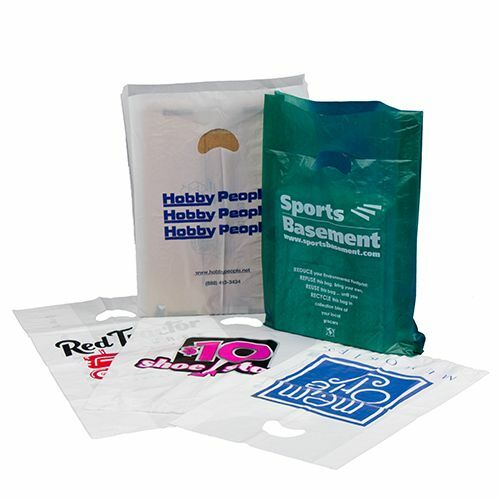 All the merchandise bags are made with High Density Polyethylene (HDPE), which is strong, tear-resistant, and stiff.